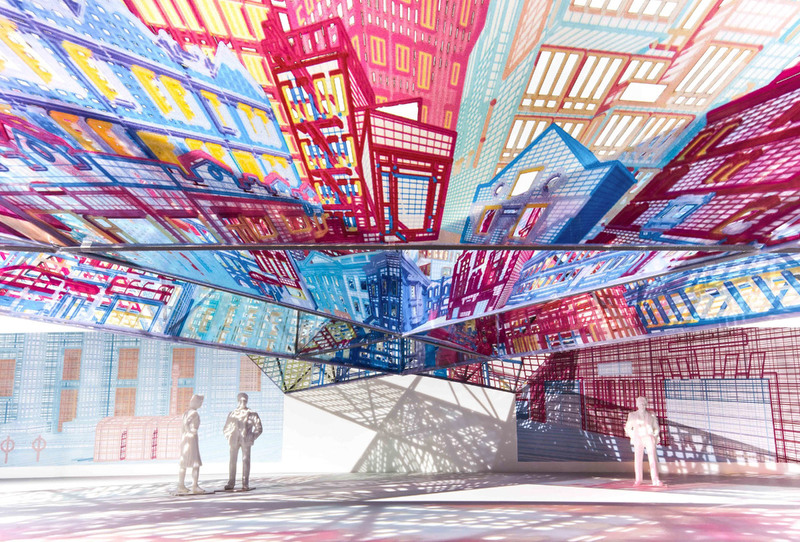 The Museum of Modern Art and MoMA PS1 have announced the five finalists for next year’s 20th annual Young Architects Program (YAP). 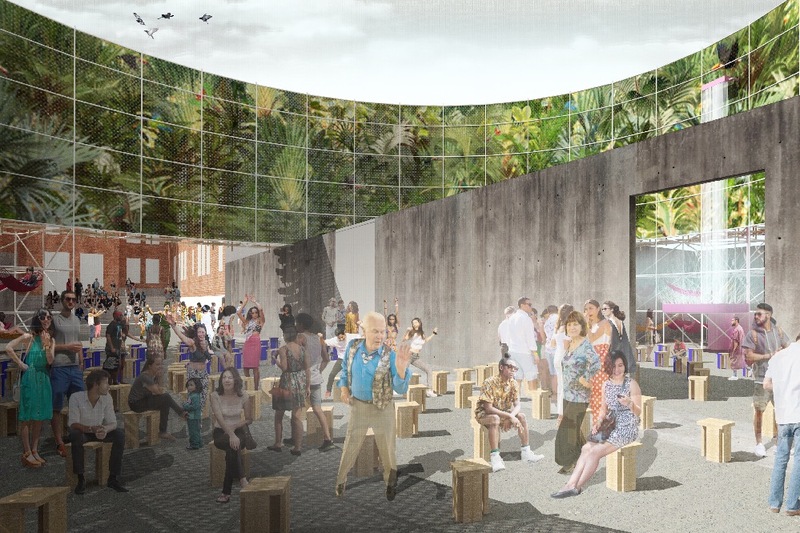 The finalists are each invited to propose an installation design for PS1’s outdoor courtyard in Long Island City, Queens. The winning proposal will be revealed in early 2019 and installed next summer. The selection below hints at MoMA’s commitment to showcasing forward-thinking architects who use eye-catching design, strategic planning, and social media to garner global influence. Not only do these teams create innovative spaces and experiences, but they incorporate imaginative materials and movement into every project they pursue. Meet the finalists below: Pedro & Juana Ana Paula Ruiz Galindo and Mecky Reuss Mexico City This Mexican design duo has made major splashes in the architecture world since establishing their firm in 2012. Many of their projects feature furniture-driven designs, as seen in their interior public space installation, Dear Rudolph, for the 2015 Chicago Architecture Biennial. The pair met in 2005 while attending SCI-Arc and formed their practice years later. Not only do they design their own furnishings and fixtures for many of their projects, but they incorporate art and whimsy into every piece. 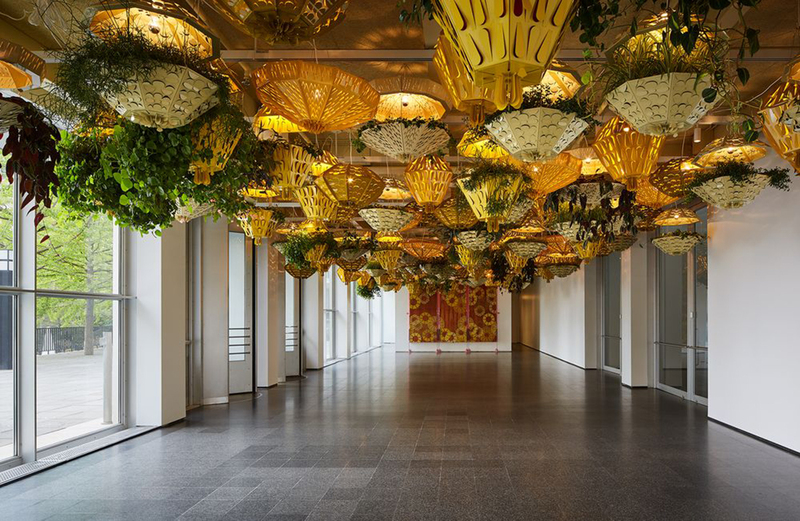 For the 2017 Chicago Architecture Biennial, Pedro & Juana created a festive and colorful ceiling full of lanterns and planters within the Museum of Contemporary Art Chicago. Low Design Office (LOWDO) DK Osseo-Asare State College, Pennsylvania DK Osseo-Asare of the Austin, Texas-based firm LOWDO explores the links between sustainability, technology, and geopolitics. Together with his design partner, Ryan Bollom, the young practitioner designs eco-friendly family homes and living systems. In 2017, they created the Agbogbloshie Makerspace Platform (AMP), a transnational project that helps bolster maker ecosystems in Africa by teaching students and young professionals how to reuse recycled materials. One of the firm's biggest projects includes designing and planning the new towns of Koumbi City in Ghana and Anam City in Nigeria. Oana Stanescu & Akane Moriyama New York Romanian architect Oana Stanescu is a founding partner of the New York–based design firm, Family, and cofounder of the Friends of +Pool nonprofit. Her work in architecture features a multidisciplinary approach, which can be seen in the ambitious design of the world’s first floating pool and Family’s 2013 stage design for Kanye West’s Yeezus tour. Stanescu recently stepped out to start a practice under her own name, taking her extensive experience working on exhibition design, public housing, and commercial projects, as well as urban development, with her. She’s has held teaching positions at MIT and Columbia University GSAPP, and served as a critic at Yale and Harvard. Stockholm-based artist and designer Akane Moriyama weaves the fields of architecture and textile together in her work. After studying at both the Kyoto University of Technology in Japan and the Konstfack University College of Arts, Crafts and Design in Sweden, she began incorporating the practices of dying, knitting, sewing, and printing into her projects. In 2013, she won the Center for American Architecture and Design's competition CURTAINS, installing a large-scale prism made of billowy, sheer drapes in a courtyard at the University of Texas at Austin. Her work has been shown widely from Tokyo to Venice. Matter Design Brandon Clifford Boston Matter Design, led by director and cofounder Brandon Clifford, isn't afraid to experiment. The Boston-based design/research studio regularly publishes architectural research into new fabrication techniques but also combines the theoretical with the practical in using those same techniques to create products. This synthesis of research and practice is at the heart of Matter Design; for example, take The Cannibal's Cookbook, a guidebook for constructing walls from interlocking pieces of scrap masonry, and Cyclopean Cannibalism, a real-world realization of a "recipe" from the book. Carving, stacking, and discovering new twists on ancient craft techniques have driven much of Matter Design's research. The studio was also recognized with an Architectural League Prize for Young Architects + Designers in 2013. TO Carlos Facio and Jose G. Amozurrutia Mexico City To TO founders Carlos Facio and Jose G. Amozurrutia, the line between art and architecture was meant to be blurred. TO, a small, three-year-old Mexico City–based practice, regularly blends hand-crafting with architectural ideas. For their 2016 Hermés Pavilion in Milan, the studio collaborated with Taller Mauricio Rocha + Gabriela Carrillo to abstract one element of a typical building—the colonnade—into a spiraling structure made solely of brick piers. The resultant interplay of light and shadow was just as important to the project as the columns themselves, demonstrating the studio's attention to architecture's more ethereal qualities. Past YAP winners include Dream the Combine (2018), Jenny Sabin (2017), and Escobedo Soliz Studio (2016). At a panel discussion a week after the October 21 opening of Bruce Nauman: Disappearing Acts at the Museum of the Modern Art (MoMA), Laurenz Foundation curator and advisor to the director at the MoMA, Kathy Halbreich, discussed how poorly Nauman’s last two retrospectives were received. The first, a major solo show that traveled from the Whitney Museum of American Art to the Los Angeles County Museum of Art (LACMA) in 1972, was pilloried by the press as vapid. The second, a 1995 exhibition at the MoMA (co-organized by Halbreich) was criticized as overly loud and chaotic. The volume has been turned down for the versatile artist’s third show but his stinging examinations of surveillance, “fake news,” bodies in space, and the ultimate futility of life are more relevant now than ever. The MoMA has pulled out all of the stops for Disappearing Acts, literally in some instances. The walls of MoMA's sixth floor have been cleared so the whole floor can be dedicated to Nauman’s larger, more architectural explorations of space, while the entirety of PS1 in Queens has been handed over to smaller installations. All told, the MoMA has put 165 pieces of sculpture, drawings, video art, neon work, soundscapes, paintings, and more on display, much of it on loan from other institutions and private collectors. In Midtown, visitors are guided through a chronological tour of Nauman’s larger works across the repurposed special exhibition galleries, beginning with his own experiments in using the body as a tool of art. Arms were used as both paintbrushes and hole-punchers in Nauman’s earlier work, and pieces were formed and named according to his own body proportions. Further in, Nauman’s meditations on surveillance in the urban environment become evident; take Going Around the Corner Piece, a “room” with no way to enter, covered in security cameras that relay their feeds to televisions on the ground. Visitors are encouraged to encircle the room as they “chase” the digital reflections ahead of them. The massive Model for Trench and Four Buried Passages has been installed beyond that, placing an “architectural model” of the titular trench, arranged in five circles, on the floor of the museum for 360-degree examination. Behind that, a small monitor sits on the wall displaying Audio-Video Underground Chamber, a live 24-hour feed from inside of a concrete box that’s been buried offsite. 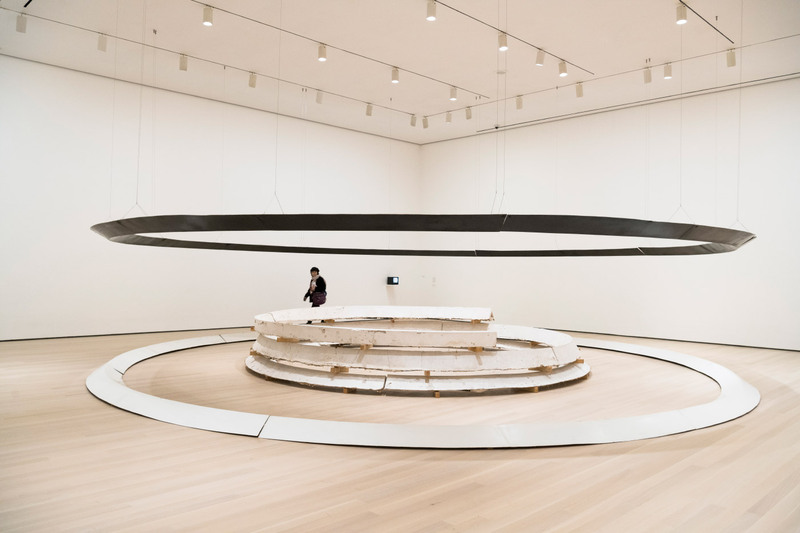 Kassel Corridor: Elliptical Space has been erected in the MoMA for the first time since 1972, and although it looks like two unfinished stud-mounted walls facing each other, the “sculpture” actually contains an ultra-narrow room. Only one visitor per hour is allowed inside, where they can wedge themselves inside the seafoam green “viewing chamber.” The audio installation Days occupies the last room. Fourteen super thin speakers have been suspended at head-height in two rows, with each pair featuring a different voice repeating days of the week in a random order. Nauman has carved out audio “corridors” for visitors to wander through, spatializing the installation. Across the river, PS1 is home to Nauman’s more intimate—but more terrifying—pieces. The former classrooms of PS1 have been transformed into private enclaves for his audio-visual pieces. Nauman’s most famous work, the 1987 video Clown Torture (it’s unclear whether the clowns, or the viewer, are being tortured) has been given its own room, though it’s unclear whether any visitor will stick around for its 60-minute runtime. Mapping the Studio II with color shift, flip, flop, & flip/flop (Fat Chance John Cage), a sped-up surveillance tape covering 24 hours of Nauman’s empty studio, has been given a similar staging. A selection of lithographs, paintings, and smaller neon tube pieces can also be found at the MoMA’s Queens outpost. Bruce Nauman: Disappearing Acts will be on display at the Manhattan MoMA until February 18, 2019, and at PS1 until February 25, 2019. The museum will also be presenting live performances of the 1965 performance piece Wall/Floor Positions from 12:00 PM through 4:00 PM every Thursday and Sunday, and every Friday and Saturday from 1:00 PM to 5:00 PM at PS1. Klaus Biesenbach, director of MoMA PS1 and Chief Curator at Large at MoMA in New York City will be packing his bags for the West Coast. Biesenbach has reportedly been tapped as the latest to lead Los Angeles’s Museum of Contemporary Art (MOCA), where it’s hoped that he’ll be able to draw large crowds to the struggling institution. Biesenbach will leave behind a complicated legacy at PS1. He started his tenure as a curator in 1995, and was responsible for starting the popular summer Warm Up concert series, the Rockaway! arts festival at Fort Tilden in the Rockaways (and includes this year’s Yayoi Kusama sphere installation), and was responsible for driving foot traffic to the Queens institution. However, Biesenbach was responsible for curating the “embarrassing” Björk retrospective at MoMA in 2015 and Marina Abramovic’s The Artist is Present in 2010, which also drew mixed reviews. His departure comes as the museum is facing a discrimination lawsuit over the revocation of a job offer to a pregnant performance program curator. Biesenbach will be replacing Philippe Vergne, the former Dia Art Foundation director (continuing a MOCA tradition of courting New York-based personalities). Vergne stepped down after four years of running MOCA in May, following the backlash over artist Mark Grotjahn’s decision to decline being honored at the museum’s annual gala over a supposed lack of diversity among past honorees. MOCA itself has seen its fortunes rise and fall in recent years, having had its endowment fall to under $10 million as it used the money to pay for operating costs. 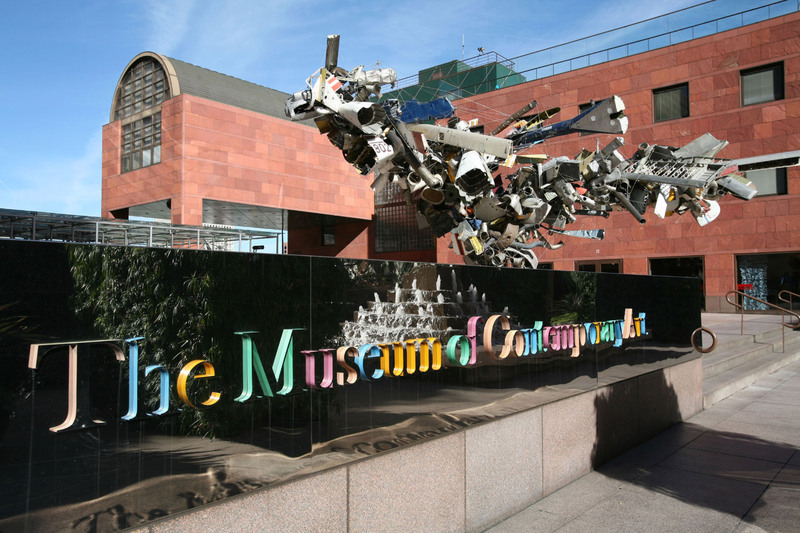 According to the New York Times, MOCA is hoping that Biesenbach will be able to network with other collector institutions in the area, such as the Broad Museum across the street, and revitalize flagging enthusiasm for the museum. MoMA will start looking for Biesenbach’s replacement in the fall. "Klaus Biesenbach is an extremely talented curator and director who has done an outstanding job leading MoMA PS1 over the last decade," said Glenn D. Lowry, Director of MoMA in a statement, "and working with his colleagues at The Museum of Modern Art to shape our program in contemporary art. His legacy of daring exhibitions, his commitment to artists, and his dedication to civic engagement, leaves an enduring mark not only at MoMA PS1 and The Museum of Modern Art, but in the cultural life of New York City and beyond. " In related news, MoMA painting and sculpture curator Laura Hoptman has been named the new executive director of the Drawing Center. The small nonprofit museum is located in SoHo and has shown a wide collection of architectural work, including drawings by Lebbeus Woods. 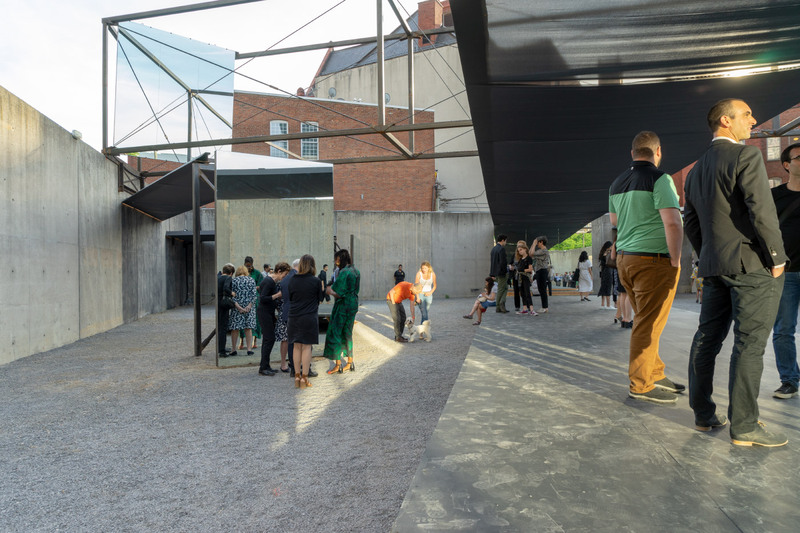 MoMA PS1’s 2018 Young Architects Program (YAP) installation is set to open for the summer on June 28, and The Architect’s Newspaper took a behind-the-scenes look at the winning entry from Minneapolis-based Dream The Combine. Husband-and-wife partners Jennifer Newsom and Tom Carruthers of Dream The Combine, and Clayton Binkley of ARUP were on hand for a guided press preview of the steel-and-glass Hide & Seek, now installed in PS1’s courtyard. This year’s YAP installation is highly technical and stark at first glance, but is still responsive at the human-scale and cuts a striking figure as the lighting conditions change overhead. Eight intersecting elements made of black steel–Carruthers co-owns a metal fabrication shop in Minneapolis–stretch across PS1’s open space, creating a layered experience for museum-goers. Each end of the horizontal structures on the ground-level are capped with enormous suspended mirrors, which move both in response to the wind as well as visitor participation; the mirrored-panels have had handles welded to their back. The bending, constantly shifting viewpoints and reflections of Hide & Seek are designed to introduce a measure of spontaneity and unpredictability to the concrete-walled courtyard. Mirrors mounted high above the ground break the visual constraints of the PS1 courtyard and provide glimpses of the surrounding neighborhood to passerbys and vice versa. The installation’s central structure, a catwalk installed just past PS1’s entrance, turns into an infinitely-reflecting hallway as the mirrors at its ends move in the breeze. It also provides shade from the harsh summer sun via a stretched overhead canopy. As Newsom and Carruthers explained, the black fabric is intended to physically both block and filter the sun so that looking up invokes the feeling of viewing the night sky, as well as symbolically represent the poche of a drawn plan. A large-scale hammock nearby trades the plywood flooring of the catwalk for springy netting (though the installation doesn’t have a trampoline-level of bounce, AN’s editors spotted plenty of children trying to catch some air anyway). “For the 19th year of the Young Architects Program, Dream The Combine’s provocative intervention Hide & Seek tests the effects of rapid development in Long Island City, Queens and, more broadly, the American city,” wrote Associate Curator of MoMA’s Department of Architecture and Design Sean Anderson. “Conceived as a temporary site of exchange, the proposal activates the MoMA PS1 courtyard as a speculative frontier to be magnified, transgressed, and re-occupied.” Hide & Seek will also act as a staging area for PS1’s Warm Up concert series, and the steel sculptures overhead will reportedly be bathed in mist and light at night in response to the music below. Hide & Seek will be on display and open to the public from June 28 until September 3. An exhibition at the Museum of Modern Art's main building showcasing the schemes from all five finalists will run concurrently. Japanese artist Yayoi Kusama is known for making work filled with circular motifs, and her upcoming site-specific installation titled Narcissus Garden is no exception. The installation of silver spheres will be on view from July 1- September 3 at Fort Tilden, a former United States Army base on the coast in Queens. The exhibition is presented by MoMA PS1 as the third iteration of Rockaway!, an art festival that commemorates the Rockaway Peninsula’s ongoing recovery from Hurricane Sandy. 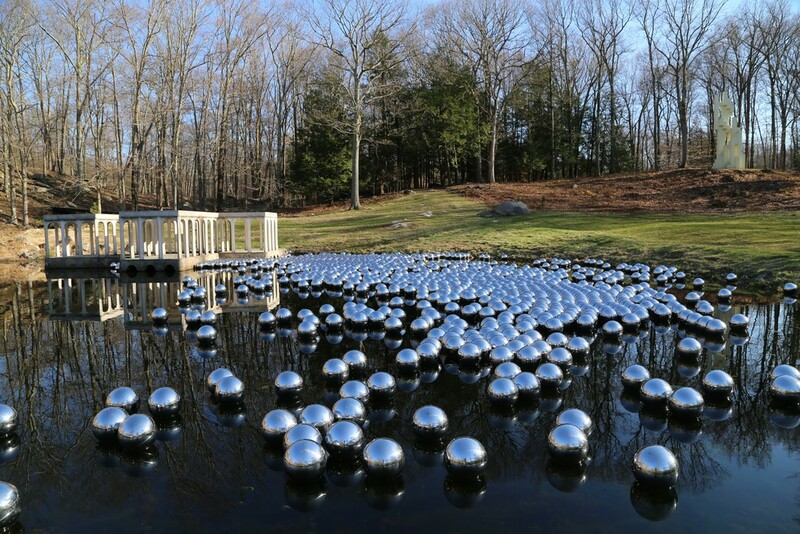 First presented in 1966 at the 33rd Venice Biennale, Narcissus Garden is comprised of 1,500 spheres made of mirrored stainless steel. The artistic intervention will transform the interior of the former coastal artillery installation with mirrored surfaces. The region’s military past and the building’s post-Hurricane Sandy state will be highlighted in the reflections of the sculpture. During the first presentation of Narcissus Garden in 1966, Kusama, dressed in a gold kimono, threw the spheres around and attempted to sell them to passerby on the lawn outside the Italian Pavilion. The performance was interpreted as “self-promotion and a critique on the commercialization of contemporary art,” according to a statement from the MoMA PS1. The art piece played an important role in marking Kusama’s career as a performance artist in the sixties. Iterations of Narcissus Garden have since been presented in New York City parks and different venues worldwide. The first iteration of Rockaway! in 2014 featured Patti Smith, Adrián Villar Rojas and Janet Cardiff, while the second iteration in 2016 featured Katharina Grosse. The series is co-organized by Rockaway Artists Alliance, a local non-profit art organization, and National Park Service. For details please check out this link. From now until September 3, the MoMA will be exhibiting Dream The Combine’s winning scheme for this year’s Young Architects Program (YAP), as well as the other four finalists’ work. Hide & Seek opens to the public at MoMA PS1 on June 28, but until then, the MoMA exhibition provides a sneak peek that should tide over visitors. Hide & Seek Design: Jennifer Newsom and Tom Carruthers of Dream The Combine in collaboration with Clayton Binkley of ARUP Structural Engineering: Clayton Binkley and Kristen Strobel, ARUP Project Team: Max Ouellette-Howitz, Nero He, Tom Vogel, Emmy Tong, and Erik Grinde, with support from UMN School of Architecture Dream The Combine is the 19th YAP winner. The firm's scheme will create a series of dynamic pavilions across PS1’s courtyard and up the steps to the museum. Nine overlapping black steel catwalks will stretch across the open area, including inaccessible platforms hovering overhead. Three of the paths will hold giant, moveable mirrors that can “turn an individual into a crowd” or unify separate elements of the installation. Fabric sails will be floated overhead at certain points and fitted with misters to create an ethereal and spacey feeling at night. Hide & Seek is, according to Jennifer Newsom, an attempt to create an ever-changing experience in PS1’s courtyard by building new visual connections throughout the space and beyond. Shelf Life Design: LECAVALIER R+D, Jesse LeCavalier Project team: Ayesha Ghosh, Jesse McCormick, Zachary White Structural engineering support: LED - Laufs Engineering Design, New York City & Berlin What exactly is “logistics”? How can we better connect and explore the invisible machinery that drives modern global commerce? For Shelf Life, LECAVALIER R+D re-appropriates the stacking and racking machinery usually found in factories and turns it into an immersive exhibition structure. In their proposal, furniture is built straight into the massive frame, and the entire pavilion would be disassembled and integrated back into the global logistics stream at the end of summer. Out of the Picture Project Team: FreelandBuck, Alex Kim, Taka Tachibe, Belinda Lee, Braden Young, Adin Rimland, Michael Raymundo, Adrian Lanetti, Evan Preuss, Jose Avila Structural Engineering by Matthew Melnyk of Nous Engineering Out of the Picture sought, much like Hide and Seek, to “bring the outside in” to PS1’s courtyard. Enormous fabric banners are stretched across the central plaza and decorated with distorted images of the surrounding buildings. The result is a reinterpretation of the neighborhood from a new perspective, transformed but still readable. Loud Lines Design: BairBalliet Structural Consultants: Walter P Moore, Kais Al-Rawi, Quinton Champer Project Team: Chaoqun Chen, Jose Garcia, Andrew Lang, Spencer McNeil, Ruta Misiunas Lines and vectors are often abstract concepts on a screen in architecture, but BairBalliet sought to translate the often-striking lines in diagrams into tangible structures. During the day, Loud Lines is solid black and imposing, but at night, the structure pulses with neon light from within. The rods emit a cooling mist to further blur the lines between the real and the immaterial. The Beastie Design: OFICINAA: Silvia Benedito and Alexander Häusler. Cambridge, MA, and Ingolstadt, Germany The Beastie proposed a technologically forward-thinking assemblage in PS1’s courtyard; an interactive structure that would have turned solar energy into ice. Inside the multi-walled chambers of The Beastie, visitors would explore a range of different temperatures, ranging from pleasant to freezing. More than a cool-down station, The Beastie was intended to raise awareness of climate change by exposing guests to “climatic confusion”. All of the YAP finalists were required to design an outdoor shelter that included shade, water, and seating. After the proposals are finished showing at the MoMA, the installation will travel to MAXXI (Museo nazionale delle arti del XXI secolo) in Rome, and CONSTRUCTO in Santiago. Design Center Parsons School of Design 66 Fifth Ave. (Greenwich Village) June 21 7:00–9:00 pm. $10 for non-members. RSVP required* ArchLeague.org Lectures by the winners of the Architectural League’s prestigious annual prize, recognizing the nation’s top young architects: Gabriel Cueller & Athar Mufreh, Coryn Kempster, and Bryony Roberts. Followed by reception 8) Modulightor Building Open House 246 East 58th St. (Midtown) June 22 6:00–9:00 pm. $15. RSVP required* modulightor.com Tour Paul Rudolph’s stunning four-story glass townhouse. Aronson Galleries Parsons School of Design 66 Fifth Ave.
of New York 1220 Fifth Ave.
(Upper East Side) Ongoing MCNY.org What made New York New York? Follow the story of the city’s rise from a striving Dutch village to today’s “Capital of the World.” Framed around themes of money, density, diversity, and creativity, the city delves into its past and invites visitors to propose visions for its future. 15) Designing Waste: Strategies for a Zero Waste City Center for Architecture 536 La Guardia Place (Greenwich village) Through September 1 CenterforArchitecture.org Waste is a design problem. This show presents strategies for architects, designers, and building professionals to help divert waste from landfills. Curator Andrew Blum will lead tours of the exhibition on Friday, June 22, 10:00–11:00 am, and Saturday, June 23, 11:00 am–12:00 pm. This exhibition is based on the Zero Waste Design Guidelines and supported by the Rockefeller Foundation. Text by AIA City Guide, Storefront for Art and Architecture and AN. Minneapolis, Minnesota—based Jennifer Newsom and Tom Carruthers of Dream the Combine have won the 19th annual Young Architects Program (YAP), sponsored by The Museum of Modern Art (MoMA) and MoMA PS1, with their project entitled Hide & Seek. The responsive and kinetic installation is developed in collaboration with Clayton Binkley of ARUP and will be on view in the MoMA courtyard starting in June 2018. 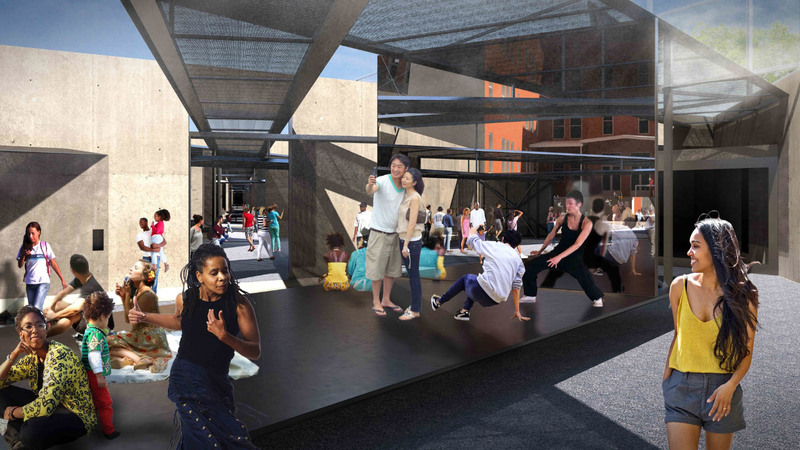 Hide & Seek promises to bring several dynamic, performance-based pavilions to PS1’s courtyard spaces in order to create a “multiplicity of viewpoints where everyone’s experience is valid,” Newsom explained over telephone. The installation is made up of nine discrete compositional elements that run throughout the courtyards, including three platform areas containing opposing, movable mirrored walls. These mirrored spaces will attempt to unify the adjoining courtyard areas while integrating a performance stage, a concessions stand, and a cool-down spot into the installation. A small ancillary courtyard will contain an oversized catamaran fabric hammock. 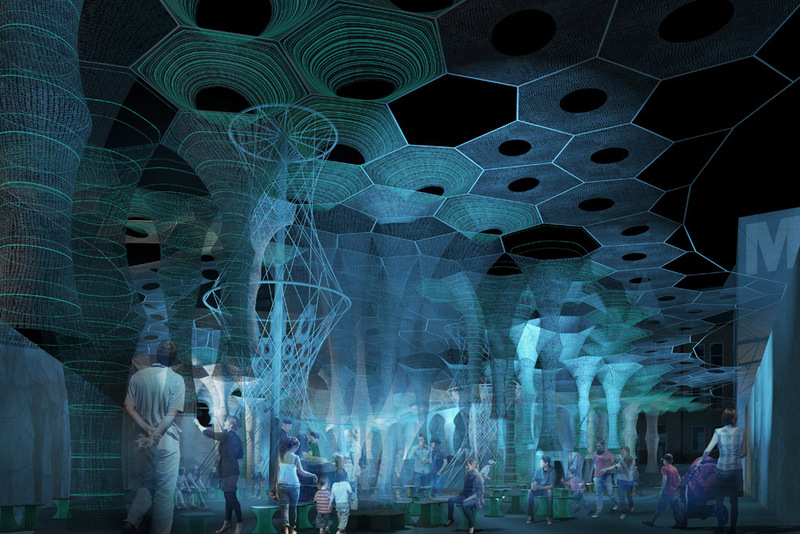 Portions of the remaining installation will be shaded by overhead fabric sails outfitted with misters calibrated to give the space an ethereal atmosphere after dark. 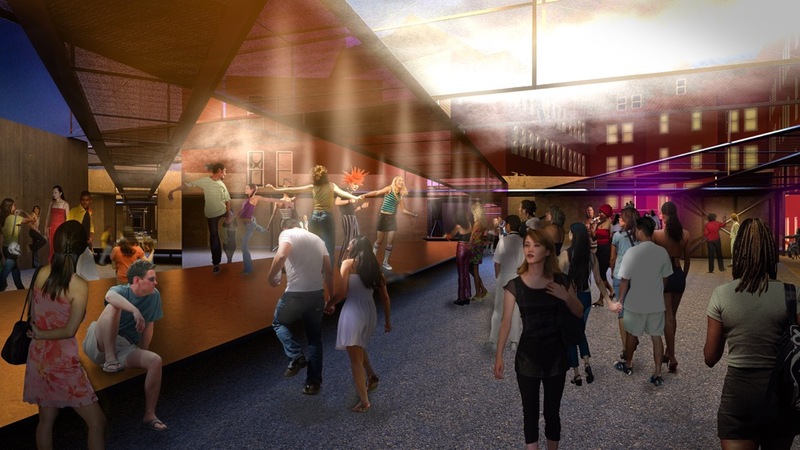 Each of the three main steel-framed structures will contain two inward-facing, gimbaled mirrors that can be manipulated by party goers to reflect each weekend’s unique “catharsis of movement,” according to Newsom. The infinitely-reflective mirrors create an “illusion of space [that] expands beyond the physical boundaries [of PS1] and bends into new forms, creating visual connections within the courtyard and onto the streets outside,” a press release states. Regarding the proposal for Hide & Seek, Sean Anderson, associate curator in MoMA’s Department of Architecture and Design, said, “Conceived as a temporary site of exchange, the proposal activates the MoMA PS1 courtyard as a speculative frontier to be magnified, transgressed, and re-occupied.” For the proposal, the designers were inspired partially by the dramatic change in use seen within the courtyard between the raucous weekend parties and more reserved weekday uses of the space. In reference to the opposing nature of the courtyard’s activities throughout the week, Carruthers said, “We are trying to create an installation that’s not just an object, but that is able to be responsive at different times of use.” Dream the Combine beat out LeCavalier R+D, FreelandBuck, OFICINAA, and BairBalliet for the YAP commission. An exhibition highlighting the five finalists' proposed projects will be on view at MoMA over the summer. The finalists for the 2018 Young Architects Program (YAP) have been announced by the Museum of Modern Art and MoMA PS1. Each year, 30 young practices are nominated by deans of architecture schools and editors of architecture publications for a chance to compete to build a temporary outdoor installation in the courtyard of MoMA PS1. After a portfolio review, the initial group of 30 is culled down to five firms, who are asked to submit initial proposals for the project. This year’s finalists are LeCavalier R+D, FreelandBuck, OFICINAA, BairBalliet, and Jennifer Newsom & Tom Carruthers. The 2017 winner of YAP was Jenny E. Sabin with her project Lumen, which employed a web-like woven canopy made of photo-luminescent and solar-active yarns that collected and emitted light. Learn more about each of the 2018 finalists below. BairBalliet BairBalliet is a collaborative effort between Chicago-based Kelly Bair and Los Angeles-based Kristy Balliet. BairBalliet’s work was presented as part of the US Pavilion for the 2016 Venice Architecture Biennial. Along with co-founding BairBalliet, Kelly Bair is the principal of Central Standard Office of Design and is an assistant professor at the University of Illinois at Chicago’s School of Architecture. Kristy Balliet, principal of Balliet Studio, is currently faculty at the Southern California Institute of Architecture (SCI-Arc) and an associate professor at The Ohio State University’s Knowlton School of Architecture. Through both speculative and built work, the team explores precedent and form in two and three dimensions. FreelandBuck The bi-coastal FreelandBuck is led by David Freeland and Brennan Buck. Freeland is currently a faculty member at the Southern California Institute of Architecture (SCI-Arc), and Buck is a faculty member at the Yale School of Architecture. FreelandBuck’s work ranges from residential and commercial through urban and institutional projects, with an emphasis on complex digitally-fabricated geometries. Jennifer Newsom & Tom Carruthers Jennifer Newsom and Tom Carruthers make up the Minneapolis-based art and architecture practice DREAM THE COMBINE. As installation artists and licensed architects, the team has produced numerous site-specific installations in the United States and Canada. Each project explores concepts of reality, perception, material, and often social and cultural constructs, such as race and metaphor. LeCavalier R+D New Jersey-based LeCavalier R+D is led by Jesse LeCavalier. Currently an assistant professor of architecture at the New Jersey Institute of Technology, LeCavalier is the former Sanders Fellow at the University of Michigan, a Poiesis Fellow at the Institute for Public Knowledge at NYU, and a researcher at the Singapore-ETH Future Cities Laboratory. With a focus on contemporary spaces of logistics, LeCavalier is the author of The Rule of Logistics: Walmart and the Architecture of Fulfillment. OFICINAA Ingolstadt, Germany-based OFICINAA is a collaboration between Silvia Benedito and Alexander Häusler. With a wide range of work in different mediums and scales, OFICINAA draws on its principal’s diverse backgrounds to produce work that covers multiple facets of design. Benedito’s work often focuses on atmospheres and microclimate landscapes, while Häusler’s background is in sculpture and installation work. Together, they have produced everything from urban planning projects and architecture projects to installations and videos. The judging panel this year included: Glenn D. Lowry, Director of The Museum of Modern Art; Klaus Biesenbach, Director of MoMA PS1; Peter Reed, Senior Deputy Director for Curatorial Affairs; Martino Stierli, The Philip Johnson Chief Curator of Architecture and Design; Barry Bergdoll, Curator of Architecture and Design; Sean Anderson, Associate Curator of Architecture and Design; Jeannette Plaut and Marcelo Sarovic, Directors, CONSTRUCTO, from Santiago, Chile; and Pippo Ciorra, Senior Curator, MAXXI Architettura, of Rome, Italy. The winner will be announced in early 2018. Ithaca, New York—based practice Jenny Sabin Studio has won the 18th iteration of The Museum of Modern Art (MoMA) and MoMA PS1’s annual Young Architects Program for her project entitled Lumen. The immersive design will be on show starting June 27 at the MoMA PS1 courtyard in Long Island City. Lumen changes throughout the day, offering shade and shelter from the sun, while also providing artificial illumination after sunset. 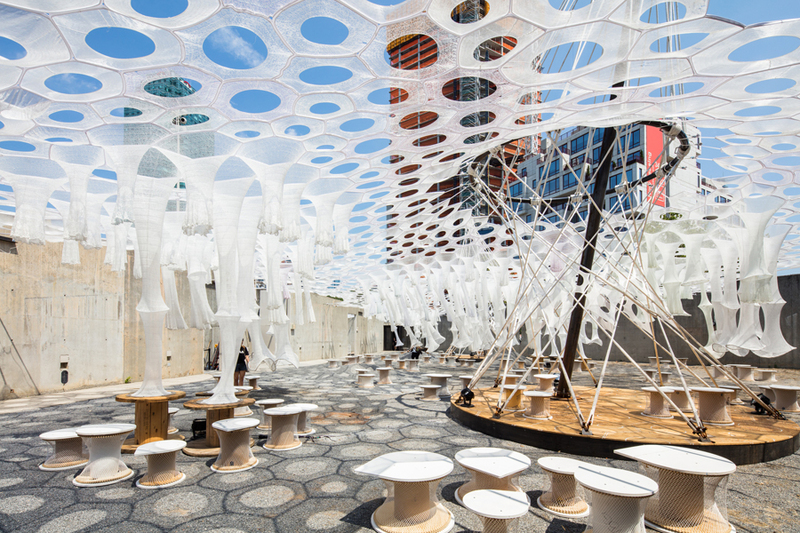 This is achieved thanks to a tubular lattice canopy comprised of recycled, photo-luminescent, and solar active textiles that absorb, collect, and emit light. The canopy reacts to changes in daylight, absorbing and producing light when necessary. In conjunction with this, fabric stalactites will release mist in response to visitors' proximity, allowing the adaptive structure to respond to changes in heat and the density of the crowd. Sabin's design will be present for the 20th season of Warm Up, an outdoor music series from MoMA PS1, and will stay on view for the rest of summer. Lumen was chosen as the winner ahead of four other projects. The competition brief called for projects that address environmental issues such as sustainability and recycling. The temporary outdoor installation had to be capable of providing water as well as seating and shade. "Jenny Sabin's catalytic immersive environment, Lumen, captured the jury's attention for imaginatively merging public and private spaces," said Sean Anderson, associate curator in MoMA’s Department of Architecture and Design. "With innovative construction and design processes borne from a critical merging of technology and nature to precise attention to detail at every scale, Lumen will no doubt engage visitors from day to night in a series of graduated environments and experiences." Losing out to Sabin were four other finalists. These included Bureau Spectacular (Jimenez Lai and Joanna Grant), Ania Jaworska, Office of III (Sean Canty, Ryan Golenberg, and Stephanie Lin), and SCHAUM/SHIEH (Rosalyne Shieh and Troy Schaum). Despite not being realized, their work will be on show at the MoMA during the summer. 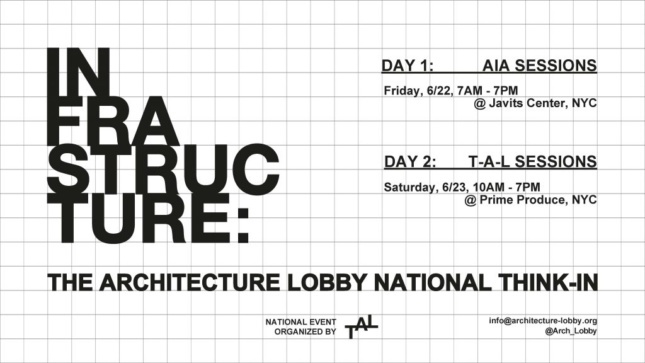 “The Young Architects Program remains one of the most significant opportunities for architects and designers from across the country and world to build radical yet transformative ideas. This year's finalists are no exception; their projects illustrate a diversity of approaches and refreshing ideas for architecture today,” Anderson added. After a three-year restoration and renovation, James Turrell’s Meeting re-opened at MoMA PS1 just last Saturday, October 8. The oculus, carved out of the ceiling, was originally commissioned in 1976, completed in 1980, and modified through 1986, ultimately becoming a prototype for a series of what the artist calls ‘Skyscapes,’ which invite viewers to gaze up at an unobstructed view of the sky. The re-opening at MoMA PS1 will feature a modulated lighting program at sunset, utilizing LED lights that gradually brighten and dim to contrast the sky in transition. The LED fixtures, common in Turrell’s more recent works, are controlled by a computer program that automatically aligns the sequence to the setting of the sun as it shifts throughout the year. He has also maintained the original tungsten bulbs for its stark yellow tones, according to a press release from MoMA PS1. The Museum of Modern Art acquired Meeting as a gift from Mark and Lauren Booth, who provided major support for the ongoing restoration and renovation processes in honor of the 40th anniversary of MoMA PS1. 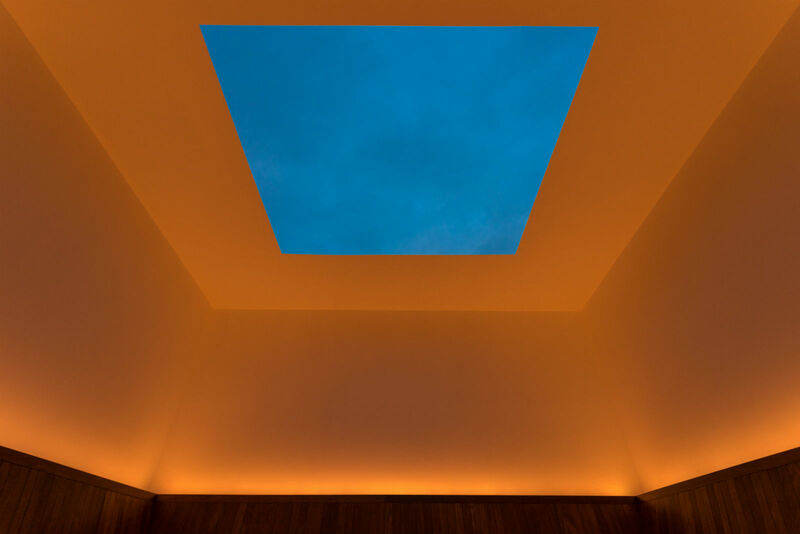 Turrell was involved intimately in the project’s revival, which included the repair of weather-related deterioration and components of a mechanical roof that covers the work when it is not open for viewing. Turrell also designed more durable teak wood seating to replace the original plywood, according to The New York Times. MoMA PS1 will be hosting a series of twenty after-hours sunset viewings for Meeting which require a free advanced ticket through November 5, 2015. Beginning on November 6, the program will fall within regular museum hours.